Use SEO To Take Control of Your Search Engine Rankings! When it comes to search engine rankings, why feel powerless in the wake of search engine fluctuations? In fact, you have more control over your sites search engine positioning than you can imagine. 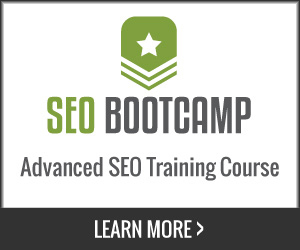 Did anyone ever tell you that you can use SEO from you own site to rank itself? This goes back to the mini site strategy (no wasted motion, relevant and focused) vs. the authority site strategy (a large resource site with multiple topics). Authority sites can rank on their own internal links and mini sites tend to require strong inbound links to thrive. Regardless of which tactic you use, the method we discuss pertains to both. Mini sites are niche related sites created with one meticulous goal in mind, dominate the niche through reaching a very specific audience. Authority sites on the contrary are designed to rank for multiple target phrases (which can also be based on a theme) but as a result of optimizing your site architecture and links, authority sites can shift the focus of which pages are elevated in search engines as flagship landing pages that funnel traffic deeper into your site (to even more precise landing pages, the conversion page or yet another offer). Depending on the objective and strategy of your content, regardless of which tactic you use, you will need to map out, develop and manage the consistency of your message / keyword theme to maximize returns. The connotation of return can be measured by improving user engagement time, the depth of the visit, lowering bounce rates, increasing conversion (purchasing or lead generation) or maturing the content to reach a broader audience. In either case, you will require a suitable search engine optimization strategies to reach optimal visibility. Why, because search engine traffic typically has the highest conversion rates as opposed to social media traffic or random link surfing. Search engine traffic is distinguished as being pre-qualified traffic as a result of the visitor or consumer opting in on their on volition to investigate your content, product or service. The purpose is simple, they have an impulse and conduct a search, they type in keywords and if your page has the right signals (content, links and relevance) your pages appear. By them clicking your search result, the visitor has elected to skim your site under the premise of purchasing or investigating your call to action and value proposition. Traffic from search engines is typically further along in the sales cycle and they are just looking for the right purchasing signals, depending on how clear those signals are determines the extent of your on page prowess and hitting critical emotional triggers which either attract or repel your readers. However, before any of this can occur, sending the right signals to search engines are necessary, which leads to the next point. These principles are fundamental building blocks, they have provided a cornerstone of search engine relevance for many years, but there are new ranking algorithms being added daily to add complexity to how each of these aspects remain as guideposts or benchmarks for search relevance. The Three Pillars of SEO are allintitle, allintext and allinanchor, what they represent are simple, but impacting each objectively require time, patience, a solid tactic and commitment to achieve the objective. The main consideration here is, you have more control over your own rankings that you imagine. Once authority is acquired (as a result of layering your content and links) you can rank on a title tag, a topic mentioned sparsely in one post or page on your site. In order to get there all depends on the top ranking sites that hold the top 10 search results, the quality of the content, the inbound links and the relevance score / threshold that has been established for the target keywords in search engines. Instead of embarking on ranking theories, let just stick with the nuts and bolts of relevance. Search engines assess your content based on (a) co-occurrence of keywords (b) the proximity of keywords contextually to each other (c) if the keywords with the highest concentration are in the title (d) where they are in the title (e) what type of site architecture is employed and (f) how popular the content is, both within your own site and how it is referenced through its link reputation from other sites. Out of those 5 criteria, you have control of 4 of them directly. 1) Allintext Ratios – Control your content, refine your offer for landing pages, keep them focused with visual appeal but more importantly the text MUST have a theme in order to fit with the other components required for a top search engine result. This falls under the category of allintext (the text on your pages and within your site) but must also be coordinated with the other key factors of allintitle and allinanchor (which we will get to next). If your allintext ratios are higher and more relevant than the next competitor (without spamming the search engines with senseless repetition), then your content is elevated naturally and gains a higher relevance score for those keywords. Rarely is one page enough (on its own), but when combined with multiple pages on a topic (the true secret of SEO), the entire site raises in allintext relevance for the keywords used the most frequently in context to the terms. If you have 100 pages of great content and your competition has 5, your allintext ratio will be higher. This is scalable and is your secret weapon to procuring multiple top 10 rankings over time. 2) Allinanchor Ratios – what text is in the link and how many links to each page matters. Put simply allinanchor means how many links you have pointing at the page in question. Both internal links (from your site) and external links (from other sites) add up and can be used to augment rankings. The on page links are completely under your control, the older the page the better, the less links on the page the better. If the page linking to you had 3 links on the page, the page rank (a metric of link popularity) is only being split by 3. If the target page has 80 outbound links leaving the page, then those links are being diluted and divided by 80. This tells us one thing, if you want to rank higher for a particular phrase and you can write about it, you can control the title tag, you can control the allinurl (the keywords in the URL, which we will get to next) not to mention YOU control the links on the page and where they go, then scaling content with purpose and relevance are your websites salvation. By creating precise types of media or content, tagging it well and promoting it within your site (with links) as well as getting inbound links from other sites (link building) makes your site a candidate for relevance and a top search engine position. But the way you find out it simple, which will be the finale after the next segment. 3) Allintitle Ratios – Make each title relevant and part of the theme. Remember how we talked about the ratios of the three pillars of SEO (allintext, allinanchor and allintitle) the combined average of each feed into your relevance score and can push your site past dozens of other sites vying for the same position or same keywords. The tactic of using allintitle relevance to augment rankings is nothing new, in fact if you are using a content management system and have the ability to add your company name, industry or tag line to your pages, then you already using this strategy. This works particularly well with e-commerce sites where there are multiple s.k.u’s (stock kept units / products) that draw from a template that emphasizes the title (of the product) adds keywords, has a UNIQUE description (to avoid duplicate content penalties or the secondary index in search engines for lacking creativity or distinction). Such sites can have thousands of pages indexed in search engines to create allintitle relevance as well as allinurl (site URL naming conventions) and allinanchor links to create cross-referencing (known as virtual theming, the use of links to distribute link weight throughout the site). They also have the ability (if you use a mod rewrite) to have extremely relevant URL naming conventions in the domain name / address which can also rank on its own accord. For example you can optimize your naming conventions such as, yoursite.com/keyword-theme/category/keyword-rich-title.html vs. product-ID?726.html, .php, or whichever programing platform you elect. In closing (1) you control the naming conventions, thus the allinurl (how many times the keywords appear in the domain / URL) emphasis. (2) you control the titles (hence you can augment specific keywords over time by chipping away and adding them as a prefix or tag line to the title/subject of the page for allintitle relevance (3) you control the internal links, which means that 50% of the links you need you can provide within your own site for the allinanchor ratios and (4) you control how many pages you can create about a topic, so you control the allintext ratios (your on page content) for relevance. Search Engine Rankings and the Flux of Tides, Ripples & Waves. Are Internal Links More Important than Backlinks? Jeffrey_Smith Jeffrey_Smith Use SEO To Take Control of Your Search Engine Rankings!